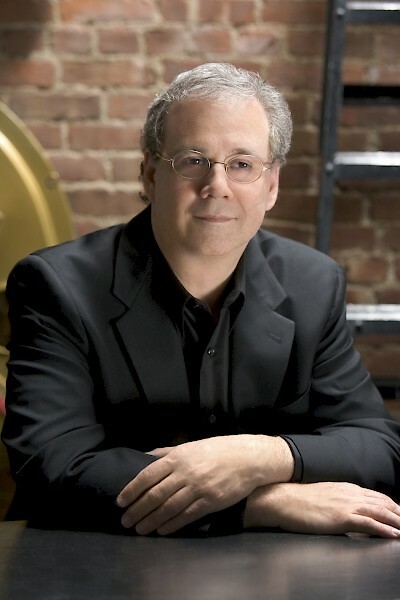 The Center for 21st Century Music is pleased to welcome Louis Karchin as senior composer at this year’s upcoming June in Buffalo festival. Currently Professor of Music at New York University, Karchin has received many of the most prestigious awards and commissions available to an American composer: the Koussevitzky, Fromm and Barlow Foundation Commissions, a Guggenheim Fellowship, and three awards from the American Academy of Arts and Letters. Praised by the New Yorker for his music’s “fearless eloquence,” his work has been presented by many of the most recognized classical music institutions in America: with performances at Chamber Music Society of Lincoln Center, the Fort Worth Opera, the Center for Contemporary Opera, Tanglewood, the Guggenheim Museum, the Louisville Orchestra, the Group for Contemporary Music, the Da Capo Chamber Players, and the New York New Music Ensemble, and recordings on Bridge, Naxos, New World, Albany and CRI labels. In any era when few new works are published, his music has been published by both C. F. Peters Corporation and the American Composers Alliance. [Stems] from personal tragedy and loss…the poems are somber and stark. The first song is introductory in nature. The second, preceded by a long, ruminative prologue is the more intense expression, with suggestions of tumultuous motion and restlessness. The mood finally disperses in favor of the music of the opening, but no the voice is added where there were only instruments previously. The ending seeks to fuse vocal and instrumental colors in a stately epilogue. The vocal soloist will be Thomas Meglioranza, an “immaculate and inventive recitalist” (The New Yorker) who has previously appeared with the National Symphony, Los Angeles Philharmonic, Boston Symphony, MET Chamber Ensemble, Houston Symphony, Orpheus Chamber Orchestra, and Les Violons du Roy, and at Lincoln Center’s Mostly Mozart Festival. although [the poems] are not ostensibly related to each other, in my mind, I constructed a scenario linking them. …I related the various songs to the growth and development of an imagined ancient town by the sea. The festival will also feature a purely instrumental Karchin work. On Friday, June 9, in 7:30pm in Slee Hall, Ensemble Mise-En presents the local premiere of Karchin’s As the circle opens to infinity…, for flute, clarinet, trombone, percussion, piano, violin, and cello, a work written for and premiered by Mise-En earlier this year.